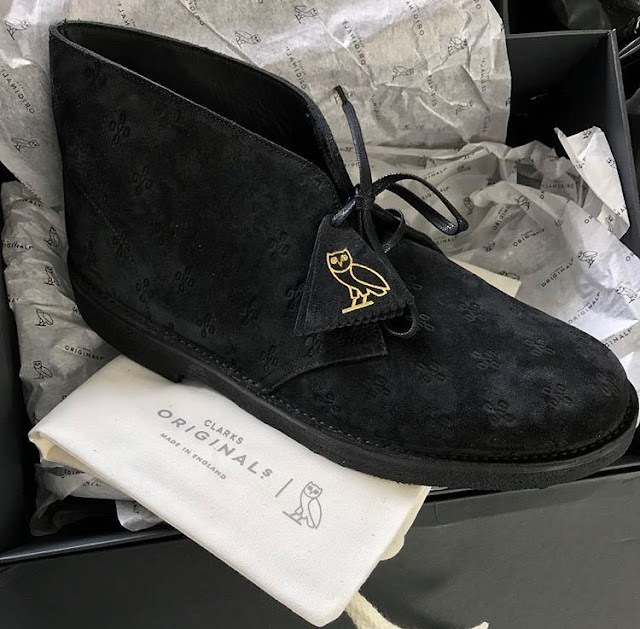 Drake has unveiled the new collaboration between his OVO brand and iconic shoe brand, Clarks Originals. 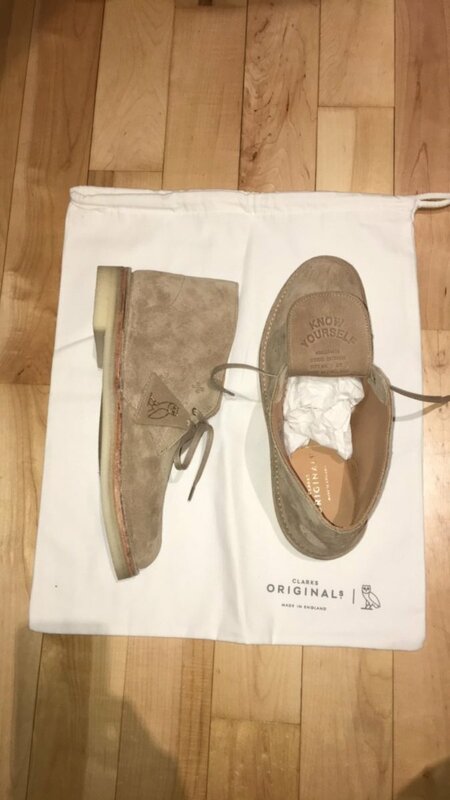 The rapper unveiled the shoes with the signature OVO owl logo on the shoe tags (pictures below) on his Instagram page a while back but has now announced the release date as tomorrow (Friday, 26 May). No word on pricing. To many, this might seem like an interesting collaboration by the superstar rapper but when you consider Clarks' previous associations with dancehall star, Vybz Kartel (video here), Clarks seems to be the more eyebrow-raising of the two. 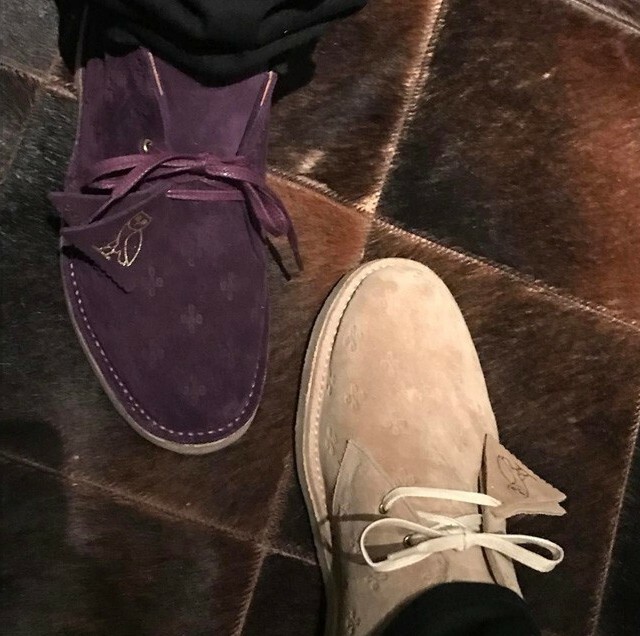 Either way, we are excited by this collab!